The Economic and Financial Crimes Commission (EFCC) has arrested the Gombe State Emergency Management Agency (SEMA) Secretary, Dr Danlami Rukuje, over alleged diversion of materials meant for the Internally Displaced Persons (IDPs). The arrest was disclosed on the commission’s website monitored on Saturday in Lagos by the News Agency of Nigeria (NAN). Rukuje was arrested following a tip-off received by the Intelligence and Special Operations Section (ISOS) of the commission. 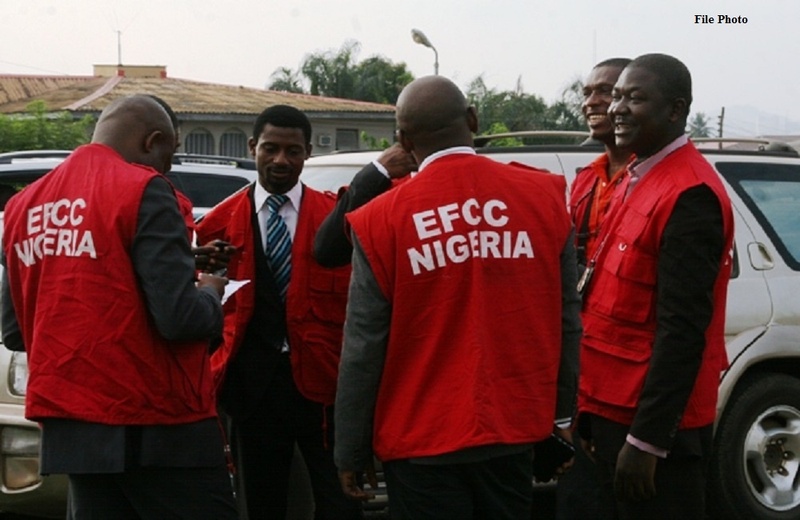 The arrest was carried out by the EFCC officials at the Gombe Zonal Office on Wednesday. “The materials, which include cans of paints and bags of cement meant as building materials donated to the state by the Presidential Committee on the North-East Initiatives (PCNI) never made it to the IDP camps. “Investigations revealed that they were, instead, diverted to other areas including markets for sale. “A team of operatives acting on the information, immediately swung into action and located shops where the materials were being sold. “The Gombe State Fertiliser Grinding Plant, where some of the materials were kept, was also raided. “A storekeeper at the state’s Emergency Agency, Isa Garba, was subsequently arrested. “Further investigations led to the arrest of a staff of the state’s Fertiliser Grinding Plant, Mu’azu Suleman. “The suspects will be charged to court as soon as investigations are concluded,’’ the commission said.